Penine View, Palterton is located on the site of the former Scotland Yard and Ten Row. 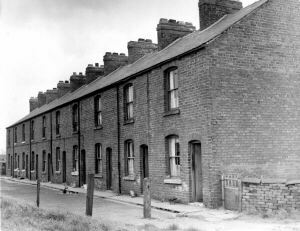 Ten Row was so named because it comprised ten houses (two up, two down) each with an outside toilet (lavatory), coal 'shed' and dustbin hole. 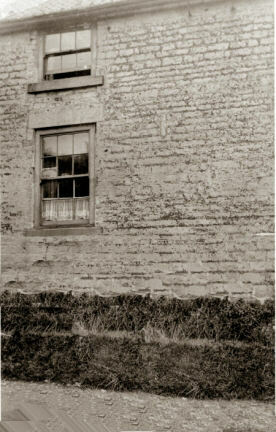 These latter outside facilities were across the yard from the houses. Each of the houses had a garden at the rear of the house measuring the width of the house by about twenty five metres long. The main entrance to Ten Row was the same as the present entrance to Penine View from Back Lane. Nothing has changed! Scotland Yard was at the west end of the plot in the area where the present retired citizens bungalows are located. I do not know why the area was named Scotland Yard, but conject it was because the owner(s) the Armstrong family were of Scottish descent. However, there may have been another reason that is not within my knowledge. 6 March 1869. Indenture between Robert Armstrong, farmer of Bolsover and William Godber, farmer of Palterton in the parish of Scarcliffe and John Armstrong, deceased ....... mentions Ann Dobb, afterwards James Bullock and now John Bullock. 18 perches .... and all that messuage, cottage or tenement situate at Palterton with outbuildings, garden and appertuances thereto belonging etc. and also that Croft adjoining to and formerly occupied with the said last mentioned cottage by the said Ann Dobb, containing by recent measurement 2 roods 10 perches or thereabouts and now in occupation of said Robert Armstrong and also that Close, piece or parcel of land recently measured 1 acre 3 roods and 12 perches named Peter Croft. 13 June 1850.? Possibly sold for £505. 1869. Indenture made between Richard Armstrong and William Godber and said Robert Armstrong - £1,560. One acre 3 roods and 8 perches situated at Palterton in the parish of Scarcliffe. 1897. Indenture made between Robert Armstrong of Burnt Leep, Whitwell, Farmer on the one part and Mary Mitchell, wife of Edward Mitchell of Chesterfield, Accountant. 1890. 17 September 1890. Sale Catalogue. On Wednesday, 17 September 1890, a sale by auction was held at the "Cavendish Hotel", Bolsover. Valuable freehold and Copyhold properties at Palterton in the parish of Scarcliffe, Derbyshire were sold. These properties were owned by Robert Armstrong, Esquire of Scarcliffe Lanes near Mansfield. There were ten lots for sale, seven being in Palterton, the remaining three being in Bolsover. 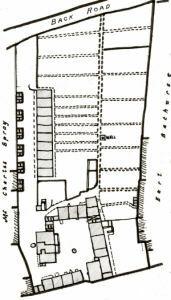 The first six lots were the properties and land which comprised Ten Row, Scotland Yard and properties on Main Street, which were part of Scotland Yard. Lot 1 comprised the Freehold House and shop, together with Four Cottages and a plot of building land, having a frontage to the Main Street. The shop was the one on Main Street facing west on the south side of the 'gennel'. These four cottages were at the south side of Scotland Yard. The occupants of these properties were stated to be H. Allfree, Miss Thornaley, H. Godfrey, J. Townsend and M. Fenton at rentals amounting to £46..16s..0d. . Lot 2 comprised Five Freehold cottages with garden ground thereto adjoining Lot 1, in the occupations of Mrs Cantrell, H. Frith, W. Shilling, A. Allfree and R. Hays at rentals amounting to £35..2shillings per annum. The purchaser of Lot 2 was to have right of way through the passage on the east side of Lot 1. I believe Lot 2 was on the east side of Scotland Yard. Lot 3 comprised Three Freehold Cottages adjoining lot 2, in the occupations of William Hall, William Smith and M. Wright at rentals amounting to £28..12 shillings per annum. I believe these properties were on the north side of Scotland Yard and were in fact the Manor House divided into three cottages. Lot 4 comprised Four Freehold Cottages adjoining the Main Street, with the necessary conveniences detached therefrom, in the occupations of H. Mellors, J. Pearce, J. Pemberton and Albert Allfree at rentals amounting to £31..4shillings per annum. These four cottages were on the west side of Scotland Yard facing across the valley towards Sutton Scarsdale. From these four cottages travelling north was a wall, two cottages, a gennel and four more cottages. Then Spray's house. Lot 5 comprised Ten newly built Freehold Cottages and Gardens in front in the occupations of R. Radford, C. Drabble, W. Barthorpe, W. Griffiths, J. Shimwell, M. Jones, S. Allfree, F. Shaw, E. Griffiths, G. Ward at rentals amounting to £104 per annum. 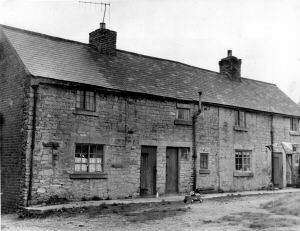 These Ten Cottages were known as Ten Row. Lot 6 comprised a plot of Freehold Building Land, adjoining Lot 5, having a frontage of about 55 yards to Back Lane containing in the whole 900 square yards. The purchaser of this Lot 5 was to have a right of road ten feet wide along the whole western side of this lot. Subsequently, six semi detached houses were built on this plot on Back Lane. Lot 7 comprised Three valuable Freehold Closes of Grass Land near Palterton Carr House, known as Darwoods containing about 6 acres 1 rood 25 perches and numbered 109, 111 and 115 on the Ordnance map of Scarcliffe. 1899. 12 December. The will of Robert Armstrong appointed dear wife ELLEN and son Robert Armstrong. 1900. 24 June. Robert Armstrong died. 1900. 17 August 1900. Robert Armstrong's will proved. 1902. 2 June 1902. Mary Mitchell and first part, John James Dickens and Hannah Dickens, his wife of Eyre Street, Chesterfield, Commission agent and second part, and Ellen Armstrong of Worksop, widow and Robert Armstrong of Whaley, farmer, third party. This document of 2 June 1902 is Mary Mitchell selling to John James Dickens and his wife Hannah Dickens. The mortgagees were Ellen and Robert Armstrong. This was Scotland Yard and was 1 acre 3 roods and 8 perches in Palterton, bounded by land on the north owned by Charles Spray, sold sometime ago by Robert Armstrong on the south by land owned by Earl Bathurst, on the east by the Back Road and on the west by the main road from Sutton to Palterton Railway Station to Scarcliffe. 1897. .... and all those 27 dwelling houses or tenements erected on the said piece or parcel of land occupied by Caleb Jones, John Barker, Thomas Nicholson, A. West and others. 1916. 12 February. The will of Hannah Dickens appoints Charles Dickens and John Dean Dickens as Executors. 1923. 15 May. Hannah Dickens died. 1949. 22 August 1946. 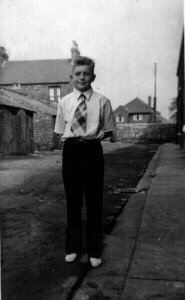 John Dean Dickens of 39, Tennyson Avenue, Chesterfield died . Probate London. 5 April ?? to Hilda Annie Dickens, widow. Effects £5026..4 shillings ..7 pence. I remember John Dean Dickens from my childhood because each week on a Saturday morning he travelled from Chesterfield to Palterton to collect the rents for Ten Row and Scotland Yard. In particular, I vividly remember the last time I saw him, being the last time he collected the rents. Some children had been collecting 'Blue Bells' from the local wood and had discarded them at the bottom end (no.10) of Ten Row, near to Scotland Yard. They were strewn on the ground. Dickens was repeating himself "all those beautiful Blue Bells". The following week, we heard he was ill with a nervous breakdown and he died shortly afterwards. The beginning of the end for Scotland Yard and Ten Row. 1958. 29 May. Blackwell Rural District Council Minutes. Annual meeting held at Dale Close, 100, Chesterfield Road, Mansfield. 864. Clearance Order 55 Plan. 865. Clearance Order 56 Plan. 866. Compulsory Purchase Order. (CO55). 867. Compulsory Purchase Order. (CO56). Meetings held at Dale Close, 100, Chesterfield Road, Mansfield. The clerk instructed to investigate purchasing of suitable building land in the hamlet. 1958 4 September. Housing site, Palterton. The architect submitted plans showing the site on Main Street, Palterton which could be developed to accommodate twelve 3 bedroom houses. Resolved. Application for planning consent thereto. The clerk to negotiate terms to be agreed with District Valuer. 1958. 18 December. Housing Programme for 1959. The clerk to send particulars by the end of December 1958 to the Minister of Housing and Local Government. Palterton Clearance Area in the Scarcliffe Parish for 18 houses and bungalows. 1959. 19 February. 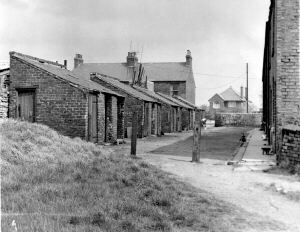 Housing Programme 1959. Site on Main Street, Palterton. (page 49). Planning permission received subject to observance of conditions. The Mineral Valuer reported seam beneath land expected to be worked in two years time. Resolved: Clerk to proceed with negotiations for purchase of land etc. Dwelling house, shop and post office. Mr and Mrs Jameson, occupants, concerning replacement of business or compensation. Resolved: Provision be made in scheme for suitable premises by conversion of a dwelling house and on retirement from business of Mr. Jameson, be allowed to offer business as a going concern subject to new occupants being suitable to council. Failing that premises to revert to residential use. The clerk reported District Valuer had been asked to negotiate with owner of land at Palterton desired for housing site. Clearance Area number 55. Ten Row, Main Street and Scotland Yard, Palterton. Clearance Area number 56. Main Street and Sprays Cottages. The areas referred to are coloured pink on the maps sealed with Councils seal on 29 May 1958. From hereon, most of the facts relate to residents of Palterton who were living in either Ten Row or Scotland Yard being rehoused out of the village. Most of the headings are under the title 'Allocation of Accommodation'. A. Frost of Scotland Yard, Palterton - Unfit property to be rehoused at 46, Springfield Avenue, Shirebrook. 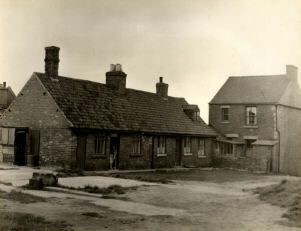 E.A.Smith of Scotland Yard, Palterton - unfit property to be rehoused at 40, Springfield Avenue, Shirebrook. E. Oakley of Ten Row, Palterton - unfit property to be rehoused at 67, Haldane Court, Bolsover. Mrs. Harriett Heath of 8, Ten Row, Palterton - unfit property to be rehoused at 4, Pleasant Avenue, Hillstown. 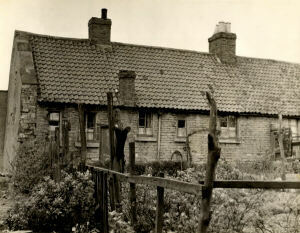 Mr. Parkin of 4, Ramcroft Cottages to be rehoused at Pleasley. Jack Austin of 2, Ten Row, Palterton - unfit property to exchange with a family from New Houghton. Mrs. Bertha Hand. 9, Ten Row, Palterton - unfit property to be rehoused at 5, Garden Avenue, Shirebrook. R. Hand of 6, Ten Row. W. Shepherd of 4, Ten Row. L. Shepherd of 5, Ten Row and R.Gray of Spray's cottages all being rehoused because of unfit properties. Post Office. 52 Main Street, Palterton. Clerk reported house and shop purchased for redevelopment. Tenant now wished to sell business as a going concern. Resolved: Existing tenant of shop and post office be given 'Notice to Quit' and procedures explained to him. At next meeting Mr. Jamieson, the sub postmaster was told Council might agree to sale subject to conditions. R. Oakley of 3, Ten Row. unfit property exchanging tenancies. Three occupiers of property on Main Street, Palterton to be rehoused, there being a demolition order on their homes. 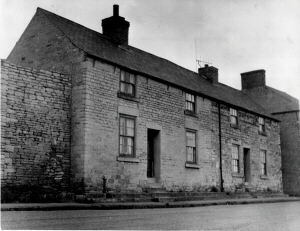 The land on Main Street, Palterton free from subsidence until 1964. Redevelopment. Clerk reported Planning Consent received and application made to Ministry to include in scheme providing 18 units of accommodation in this years programme. Redevelopment of Clearance Order 55, Palterton. Eighteen dwellings. 1. W. Plowman and Co. for erection of 18 dwellings - £13,180..3s..11d. 2. Tomlinson and White. Construction of roads and sewers. £3,312..1s..0d. A. Jamieson. Post Office and shop. Tenants claim agreed and he was to vacate premises. Payment of £500 and Valuers fee of £27..6s. in respect of loss of business. Removal expenses of £8..10s. To depart 29 April 1963. Mrs. G. Tuckwood requests to transfer back from Shirebrook to either Palterton or Hillstown as did Mrs. H. Robbins. Their requests deferred for consideration when bungalows available at Palterton. 1963. 18 July. Unfit Property. The Clerk reported demolition orders had been made on 26 and 28 Main Street, Palterton. It was resolved that the tenants of these properties be suitably rehoused in Palterton. 1963. 15 August. Houses and Bungalows, Palterton. Submitted Clerks report on allocation of these tenancies. Resolved that following persons be approved for a house tenancy. Mr. J. State of number 1, Ten Row and eight other former Palterton residents. Note: State was the son in law of Mrs Mabel Tuckwood being the husband of her daugther Gina. Also this address was my home from 1941 to 1957. Approved a transfer of Mrs. G. Tuckwood back to Palterton. Likewise Mrs. Frost. 1963. 7 November. 18 Houses and Bungalows, Palterton. Submitted list of suggested allocations of these properties. Resolved list be presented asapproved. New cul de sac Main Street, Palterton. Clerk reported Scarcliffe Parish Council had agreed to the name Penine View. Although both Scotland Yard and Ten Row had been demolished a year or so earlier, this was the finale. Ten Row had existed for 75 years whereas Scotland Yard had probably existed for 175 years. Perhaps in the future, people will view this page and discover a bit more of the history of this area in the village. It will not be forgotten.